Muslim Chaplaincy in the U.S.
American Muslim women today are struggling to address the stereotypes and misconceptions associated with the role of women in Islam. Muslim women occupy a wide variety of positions in American life: medical doctors, engineers, lawyers, chemists, housewives, broadcast journalists, professors, clerical workers, business women, schoolteachers. Some are immigrants, from countries ranging from sub-Saharan Africa to Indonesia, while many others are American-born; some American Muslim women were raised in Muslim homes, while others embraced Islam as adults. Some Muslim women cover their head only during prayer in the mosque; other Muslim women wear the hijab; still others may cover their head with a turban or a loosely draped scarf. The “role of women” in Islam is not easily defined. The Qur’an and the practice of the Prophet Muhammad seem to recognize the different functions and mutually supportive roles of men and women, encouraging just and balanced social and family life. In seventh-century Arabia, the Qur’an extended to women the right of property ownership and financial independence, prohibited the practice of female infanticide and other abuses, and significantly modified marriage and divorce practices. While many Americans consider Islam an “oppressive religion” with regard to women, Muslim women often comment on the liberty and dignity they derive from their faith. Many Muslim women explain that “true” Islam is frequently compromised by oppressive practices that have their roots in cultural differences or political expediency; general ignorance and lack of engagement with the diversity inherited within the tradition contribute to the perpetuation of these practices. Muslim women in the United States are actively engaged in this issue on every level, from academia to small grassroots groups. Dr. Azizah al-Hibri, a professor of Law at the University of Richmond, notes that Islamic laws about humanity come from a compassionate God. Accordingly, she researches issues in which Islamic law is being applied to women in what she views as an oppressive way, in order to find “the legal basis in Islamic jurisprudence for dealing with these kinds of situations.” Al-Hibri’s organization KARAMAH: Muslim Lawyers for Human Rights, is one of many outlets through which she works to understand and promote Islamic civil rights, especially those pertaining to women. In 2011, President Barack Obama appointed her as a commissioner to the U.S. Commission on International Religious Freedom. Al-Hibri is one of many Muslim women in America assuming active leadership roles both within and outside of the Muslim community. 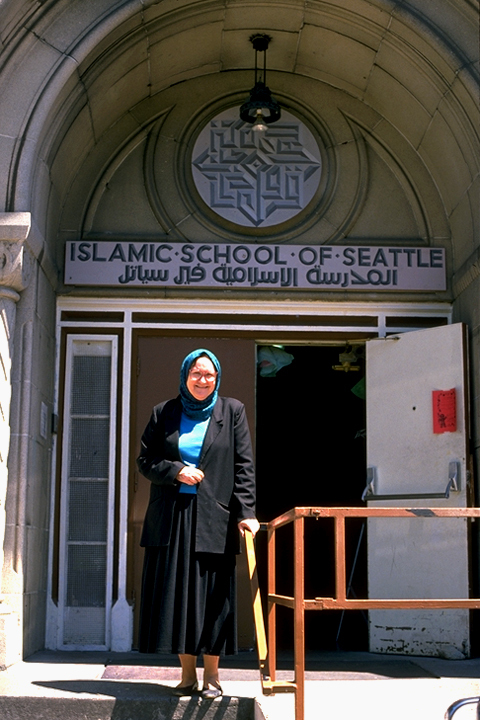 Ingrid Mattson, a Canadian-born convert to Islam, was the first woman to have been elected and to serve as vice-president and president of the Islamic Society of North America (ISNA). 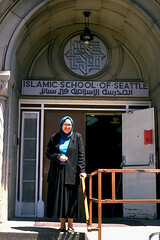 She is highly regarded as a scholar of Islam and as a Muslim scholar. Among many accomplishments, Dr. Mattson founded the Islamic Chaplaincy Program at Hartford Seminary, where she is Professor of Islamic Studies and Christian-Muslim Relations, as well as the Director of the Macdonald Center for the Study of Islam and Christian-Muslim Relations. In 2005, Amina Wadud, a black American female convert to Islam and a scholar of Islamic studies, led Friday prayers to a congregation of Muslim men and women in New York, breaking the tradition that reserves that role exclusively for men, and stirring a controversial debate about gender in Islam. Daisy Khan, an Indian-born American Muslim, is the co-founder and executive director of the American Society for Muslim Advancement (ASMA), as well as the founder of Women’s Islamic Initiative in Spirituality and Equality (WISE) and she is also actively involved in other projects that focus on interfaith efforts and dialogue on Islam in the West. These women are but a few of the many American Muslim female leaders who are challenging misperceptions about gender equality in Islam. A December 2010 article in the New York Times, “Muslim Women Gain Higher Profile in U.S.,” highlighted this trend of increased involvement of American Muslim women in the United States, emphasizing the leadership roles that they have within public and private sectors, as well as within Muslim communities. The article noted that American Muslim women have more authoritative positions in society particularly as compared to Muslim women in other countries, and also compared to American women of other religions. And yet, gender in Islam remains a frequent debate in America. 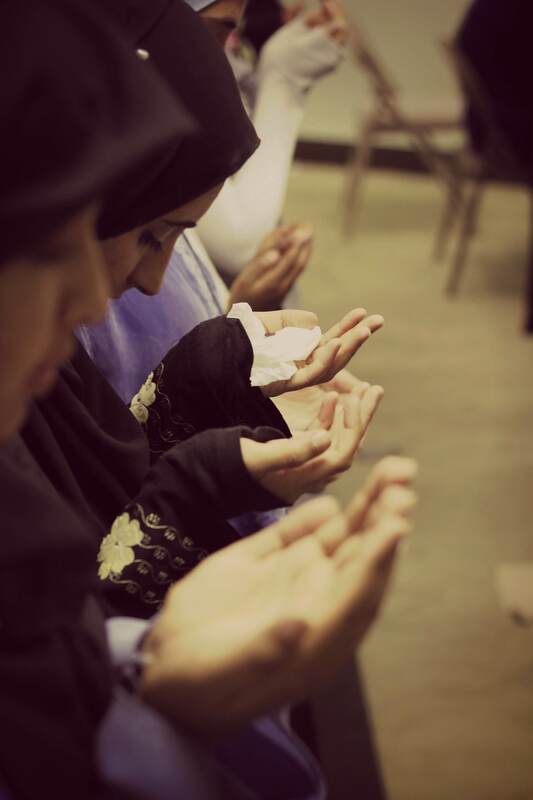 The results of a 2011 Pew Research Center survey, “Muslim Americans: No Signs of Growth in Alienation or Support for Extremism”, suggest that nearly half of all American Muslims agreed that men and women should be separated when praying in a mosque. Data from the survey also shows that over a third of American Muslim women cover their hair, by wearing hijab or otherwise, when they are in public. These issues continue to fuel lively and important discussions throughout the country, particularly as more women express their own voices as community leaders. 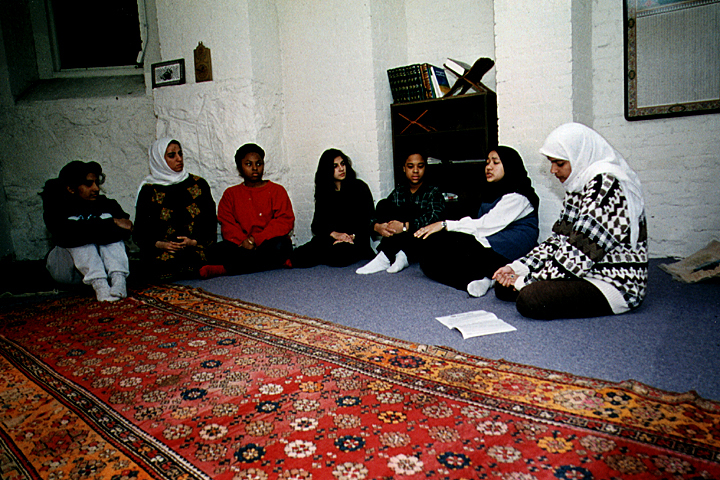 Muslim women’s groups have been organized across the United States to discuss issues of the interpretation of scripture and tradition. Many of these groups also work together to confront issues of prejudice toward women wearing the hijab in the workplace and public areas. 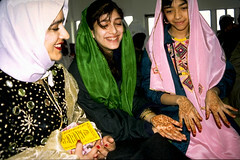 Muslim women are also actively engaged in interfaith groups, like Women Transcending Boundaries in Syracuse, New York, or Daughters of Abraham in Cambridge, MA. Some of these groups are independently organized by ordinary women trying to better understand their own faith on a practical level, while others take more academic approaches. Many American Muslim women are writing their own alternate discourse. Of course, the Internet is one forum in which women can express themselves and engage with others, such as through blogs or publishing academic and/or opinion articles. They are also recording their stories in books. Through writing, these Muslim women are aiming to express their own experiences, which are separate from both the religious leaders of their own communities and from the American mainstream media portrayal of them. Muslim women are writing about topics that include the hijab, romance, religion, fashion, and parenting. I Speak for Myself: American Women on Being Muslim and Living Islam Out Loud: American Muslim Women Speak are two such essay collections. Another is Love, InshAllah (2012), which is a collection of twenty-five essays on the “secret love-lives of American Muslim women.” This book amplifies the diversity of perspectives and experiences on relationships within the Muslim community in America. The co-editors of the book, Nura Maznavi and Ayesha Mattu, engage with Muslim and non-Muslim readers through an active web presence that includes regular guest bloggers on the book’s website (loveinshallah.com), a Facebook page and Twitter handle, as well as with in-person and online book discussions. Female Muslim scholars are also writing, many of them examining the “Muslim world” and comparing Islam in “Western” versus Muslim countries. Some important voices include Fatima Mernissi, who writes on Qur’anic scholarship and gender, Saba Mahmood, who writes on Muslim cultural practice and the agency of women, and Leila Ahmed, who writes on feminism and Islam. Whether they are formally trained in Islamic scholarship or they know Islam primarily through practice, women are increasingly entering into religious, academic, and political dialogue on a variety of issues, including the issue of gender in Islam. The number of Muslim women leaders on the American stage has skyrocketed in recent years. More American Muslim women are asserting themselves as board members of mosques, participants in interfaith organizations, as scholars, and as writers. Only time will tell the myriad ways in which Muslim women will continue to contribute to the vibrant discourse on religion and gender in America.